What can Indonesian be proud of? Indonesian food has the richness of the spices you won't find in any other country. The highlight of the spices is surely the spicy taste. We, are proudly used to the fiery sensation to our tongue. Well, most of us. Manado is one of the city in Indonesian which has its boldness to contribute their treats. They are well known with their spicy and tasteful dishes. Actually I am not familiar with their cuisine, until a friend of mine brought me to Sarang Oci. Sarang Oci is located in crowded Jalan Panjang. The restaurant was quite big, a two-storey simple building. I felt like invited to someone's house. Apparently, the owner did not come from Manado. They have a passion in Manado food and been trying to indulge our tongue since 2004. Panada (5k). It was one of the renowned food from Manado. Basically it was fried bread with Cakalang fish inside. They served it with the chilly. The chilly was super good. It was scrumptious! Pari bakar rica (43k). They claimed this one as their signature dish. The fish was so tender and the seasoning was so bold. I was satisfied and couldn't get enough of it. A really recommended one. 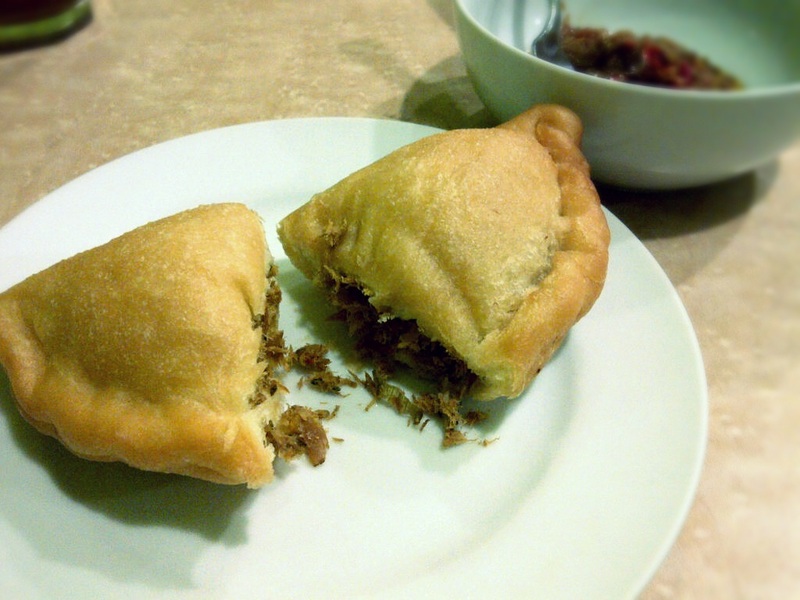 Perkedel jagung (15k for 3 pieces). Hands up for this one. It surely was the best corn fritters I have ever tasted. No kidding. It was crunchy and luscious. The complement for the corn fritters and panada. The chilly was great. The spiciness was really indulging me. You could ask for free-flow too! Kangkung tumis jagung (20k). The vegetable was fine. A good companion for those other great dishes. My recent addiction : balapis (5k). A traditional cake with sticky texture. At first I thought it would be tasted like pudding. I was wrong. Its consistency was more like sticky rice. The taste of chocolate and coconut milk was dominating. It was very good, too. The food was very satisfying, the service was good, the price was affordable. the best manado food in jakarta! Lekker Bekker : a heart warmer in humble green. Hawaiian Bistro : Aloha from PIK!